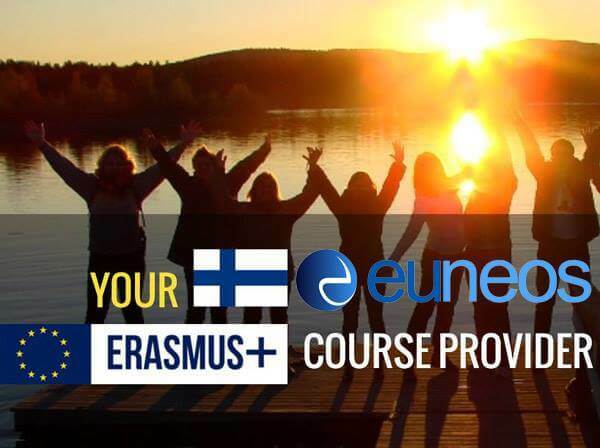 Euneosmedia | Erasmus+ courses for you! Euneos Helps Schools and Teachers to get Erasmus+ KA1 Grants for Mobility Courses abroad. No pre-registration. Erasmus+ Key Action 1 - Learning Mobility of Individuals. Mobility courses for school education staff, vocational education (VET) staff and adult education staff. Deadline for applications of Erasmus+ Call 2019 is over. There is a short break of subscriptions now. Euneos will serve you soon again. Submit your email into box below, order the support materials and we send you a link by email to download the support files for Euneos Erasmus+ courses. Now it is easier than ever! They help you very much to make a good E+ application. With our support it is easier than ever! There are NO OBLIGATIONS after grant approval. At Euneos course website https://www.euneoscourses.eu/ you will find our Erasmus Ka1 courses throughout 2019 to 2021. We will publish also new courses, follow the website! When you take our support documents into use, Euneos can have your mail address and send you information about Erasmus+ courses. Our mailing policy follows General Data Protection Regulation GDPR.